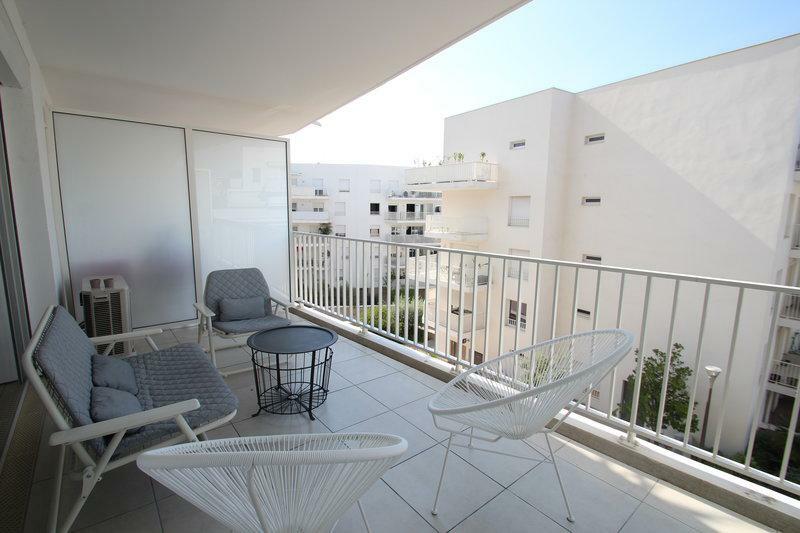 This beautiful modern apartment is a 15 minute walk to the Palais des Festivals and a 6 minute walk to the main shopping district. 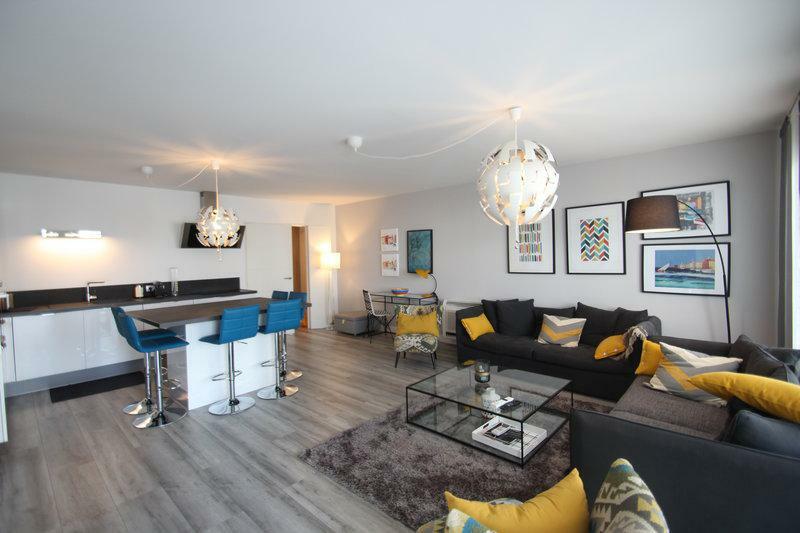 It offers a large and bright living space with 2 sofas, 2 chairs, a coffee table and a TV. There is a fully equipped, open plan kitchen with a high top dining table that fits 6 people. There are 2 bathrooms with toilets: one with a shower and the other with a bathtub. 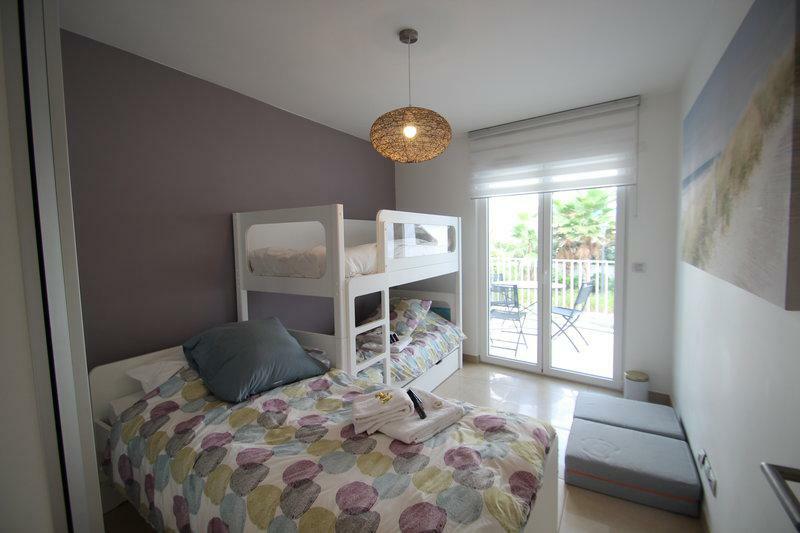 1 bedroom offers a double bed and the other bedroom offers a double bed and a bunk bed. 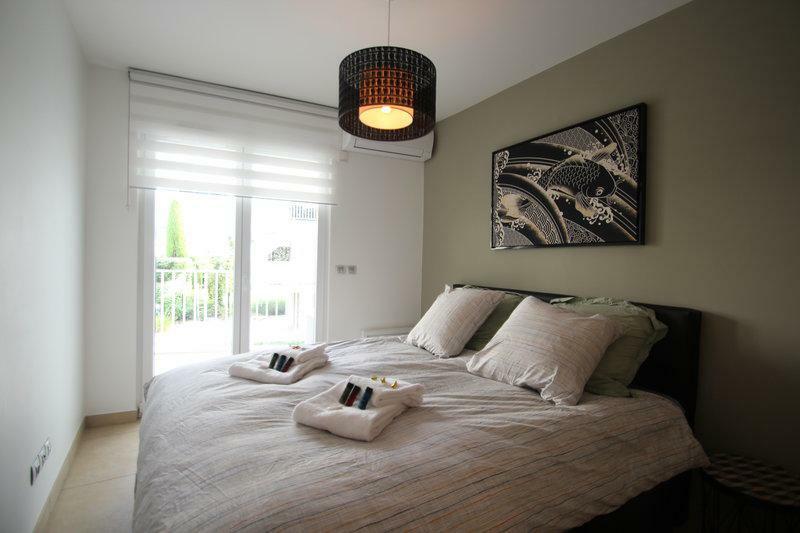 Both bedrooms open onto a charming covered terrace with a pleasant view of the residence. The terrace offers a comfortable place to relax or enjoy your morning coffee. It is in a new and secured residence on the 1st floor with an elevator. Features include: Internet, air conditioning, washing machine, and parking available (additional cost).